Fit, Active, Energetic, Adventurous, non-smoking couple who love travel & animals. 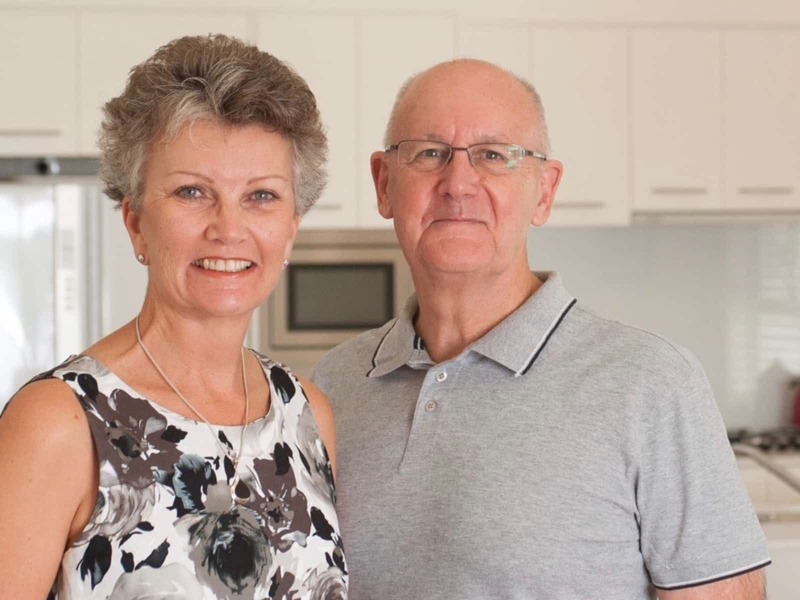 Both Leonie and Ross are retired and live in an Over 50’s Gated Lifestyle Community on the Sunshine Coast, Queensland, Australia. Ross is a former Senior Army Officer and engineer by profession and Leonie a HR Administrator. We are very organised and reliable, have excellent communication and computer skills; understand technology and use it to stay in touch with family, friends and homeowners. We are able to follow instructions but are also able to use our initiative and think for ourselves. We keep active and go to the gym regularly to maintain our fitness which enables us to enjoy our walking, cycling, lawn bowls, tennis and travel. Leonie and Ross have a passion for travel and enjoy visiting new destinations and absorbing new cultures. 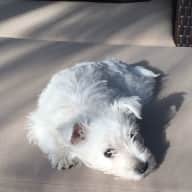 Unfortunately we do not own a pet because of our current active lifestyle and travel commitments but do love “babysitting” for our friends and lavishing attention on our four-legged charges. Animals seem to be drawn to Leonie and appear very comfortable in her presence and place their trust in her. As homeowners, we take pride in our home and have an understanding of the value that a homeowner has on their property and would care for your property as if it were our own. We would love the opportunity to incorporate our desire to travel, our enjoyment of meeting new people and visiting new destinations with caring for your animals by providing love, attention and companionship in your absence. Leonie and Ross have better than basic understanding of house maintenance and gardening skills. We are able to mow lawns, prune, weed, cut wood, do minor repairs and would take great care whilst looking after your property. 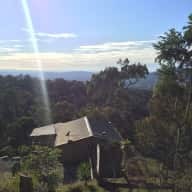 We have house sat for friends in Adelaide, South Australia and in 2017 rented Airbnb accommodation in Salisbury, England for 1 month and received a glowing review from the the owner of the property who said “They communicated well before their stay, they looked after our annex really well, keeping it clean and tidy throughout their month long stay. It was a pleasure to host them and we hope they return to Salisbury some day.” We have looked after our friend's Schnauzer, Ruby and enjoyed playing ball with her and taking her for walks twice a day and of course giving her lots of cuddles. We would love the opportunity to also care for your pet/s and home whilst immersing ourselves in your local area and community. Ross and Leonie have looked after our dog Marjie before and now they are almost part of the family, certainly where the dog is concerned. We know we can trust Ross & Leonie and that is such a relief when you are entrusting your home and your pet to someone else. Not only that but when we returned home, our place was cleaner than when we left it! We would highly recommend Ross and Leonie to anybody who was considering having them house sit for their beloved animals and home. Thank you Judi and Greg for your kind words. We have enjoyed our two sits for you and have also enjoyed little Marjie’s company. She is an adorable little girl and just loves being with you. She can be a little demanding, but then, she is the princess of the house! Your home is in a great location, very convenient and it is a nice quiet neighbourhood close to the river. We certainly enjoyed the sit and sharing our day with Marjie. Once again Ross & Leonie looked after out home and dog and we left again without a worry. 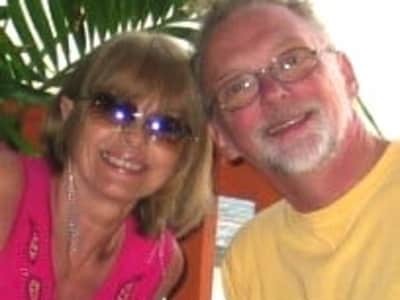 They are a wonderful couple and we would highly recommend them to house sit. We would have them house sit for us everytime if we could. Dear Helen and Ernie, thank you for your review and kind words. Zoe is no trouble to look after, she enjoys company and just likes sitting quietly with you whilst making the most of lots of pats and belly rubs. Your home is very comfortable in a quiet location and we have thoroughly enjoyed the serenity of each of our sits. We are happy to help whenever we can. Leonie and Ross looked after our two dogs and property while we were away and I would highly recommend them to anyone thinking of having them as house/pet sitters. 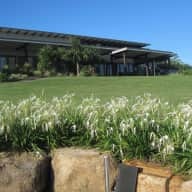 They are a delightful, friendly and energetic couple who left our home sparkling clean and the dogs very well exercised and well looked after. I will definately ask then to house sit for us again and anyone thinking of having them can rest assured that you're getting the best. I have known Leonie and Ross for many years and cannot think of any other couple I would rather have to look after my house or my beloved dog. Ruby is my constant companion and I have left her in their care on several occasions. They have gone out of their way to make her stay enjoyable. They are reliable, honest and totally trustworthy. They come highly recommended. I first met Leonie and Ross through a cycling group formed through residents of our gated community three years ago. They are both very physically active people, with interests which include cycling, membership of a walking group, and participation in many activities conducted within our living complex. They are super friendly people and very easy to get along with. Their house and garden are immaculate. 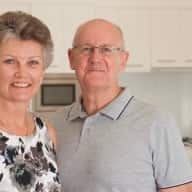 My wife and I are very keen house and pet sitters and from our house sitting experiences, I have no hesitation in recommending them as reliable, honest and trustworthy people who won’t let you down. I have no hesitation in recommending Leonie, she has sound judgement plus common sense should a problem arise in looking after either your home or pet. 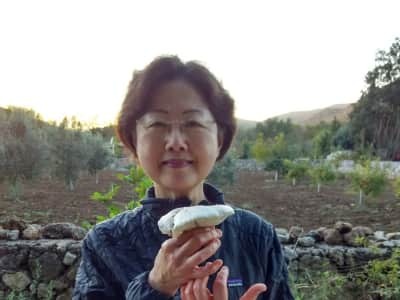 I can vouch that she keeps an immaculate home of her own, while at the same time, she respects another person may have a different way of doing things. She is caring, responsible, reliable and respects any confidential Information and instructions given. We were fortunate in having Leonie and her husband Ross housesit for us while we took a holiday break - best decision ever. It was wonderful to be able to relax knowing everything back home was being taken care of in our absence. Absolutely highly recommend.